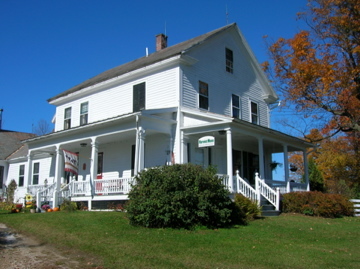 Harvest Moon Bed & Breakfast, A Classic Vermont B&B featuring an antique decor and spectacular views of the Green Mountains. 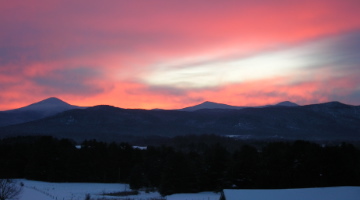 Explore the simplicity of true Vermont living! Welcome to Harvest Moon Bed & Breakfast, nestled in the heart of the Green Mountains. Entering this classic 1835 Vermont farmhouse is like stepping back to a simpler, more peaceful time. During your stay, your knowledgeable hosts will prepare you for a day packed with fun, exploration, or just relaxation. Here in the Killington region, you'll discover some of the Northeast's best hiking, skiing, biking, swimming, and kayaking adventures, as well as many historic sites, museums, farmer's markets, covered bridges, and scenic country roads. We are ideally located in the quiet countryside and just three miles from downtown Rutland where you'll find many locally owned restaurants and shops. Our guests enjoy breathtaking views of Killington and Pico mountains right from the front porch. Our gourmet vegetarian breakfast is continental style and prepared with many locally grown and organic ingredients. Start your morning with fresh fruit salad, homemade granola, baked goods, yogurt, coffee and tea.